Dunlop may be better known to most people as a sporting goods brand. However, they are one of the oldest and largest tire manufacturers in the world. It was established in 1888 by John Body Dunlop, due to doctor's orders, of all things! The doctor had prescribed cycling for Mr. Dunlop's son, who had a cold. The ride was uncomfortable, so Dunlop invented a new tire made of canvas and rubber (source). The company went on to make tires for auto racing, in particular the 24 Hours of LeMans, which requires extreme durability and efficiency. This technology went on to be incorporated in their line of street tires for everyday consumers. The majority of Dunlop Tires was purchased by Goodyear Tire and Rubber in 1999-2000, and some tires are also manufactured by Sumitomo Tires. We're still working on this list but in the meantime, you can check TireBuyer's Dunlop tire page for a list of all reviews. 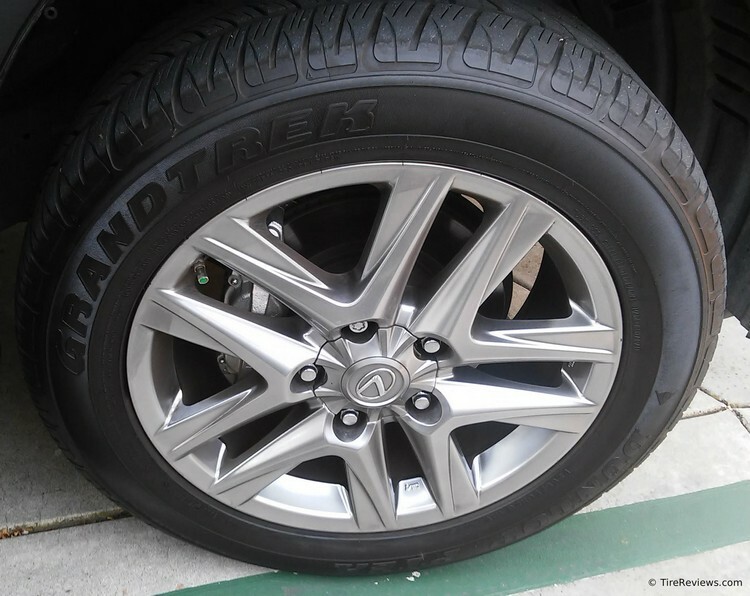 Pictured below is the Dunlop Grandtrek PT2A SUV tire on a Lexus LX570.